In response to a spill, EnviroSolutions installed a remediation system within 36 hours. This timely response prevented our client from being fined by the state. 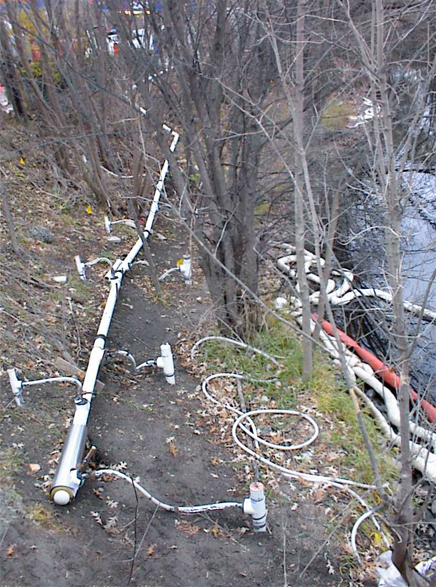 Our client was threatened with enforcement actions and fines due to a spill of thousands of gallons of gasoline at a site located adjacent to a creek. EnviroSolutions immediately installed several recovery wells and initiated product recovery with a vacuum truck. 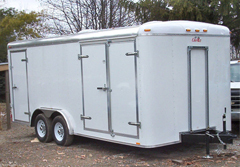 EnviroSolutions also transported a mobile remediation system (custom manufactured by EnviroSolutions) to the site. We permitted and started the mobile system within 2 months of the spill. The state regulatory compliance and enforcement staff recognized EnviroSolutions’ quick response as being timely and effective. The system continues to operate effectively and the site is progressing towards closure. EnviroSolutions’ experienced remediation engineers and mechanically-oriented field personnel comprise a superior response team. With in-house fabrication capabilities, our engineers and field personnel can quickly conceive, design, fabricate, and install a remediation system tailored to you specific site needs. The remediation systems that EnviroSolutions manufacture are mobile and can be brought to your site for emergency response and moved to another site once the cleanup is complete. Call us today to learn more about how we can help you with your high priority projects.